Home » Uncategorized » It’s HERE! Colum’s Viking Captivity IV: TRIAL BY COMBAT is LIVE! It’s HERE! Colum’s Viking Captivity IV: TRIAL BY COMBAT is LIVE! IT’S HERE! THE WAIT IS OVER! Colum and Viggo have taken their place at the court of King Godfrid, in advance of the Vikings’ great battle against Charlemagne and the Franks. And while they wait, the strange, dark sexual games he and Viggo play together are now skirting the edges of mortal danger… But there’s another danger, too – treachery is afoot, and Colum falls into the hands of his enemies! Could Niall, his friend-turned-slave, really be his betrayer? When reason and logic are no match for the forces marshaled against Colum, there’s only one way he can regain his freedom – TRIAL BY COMBAT! 3 Comments on It’s HERE! 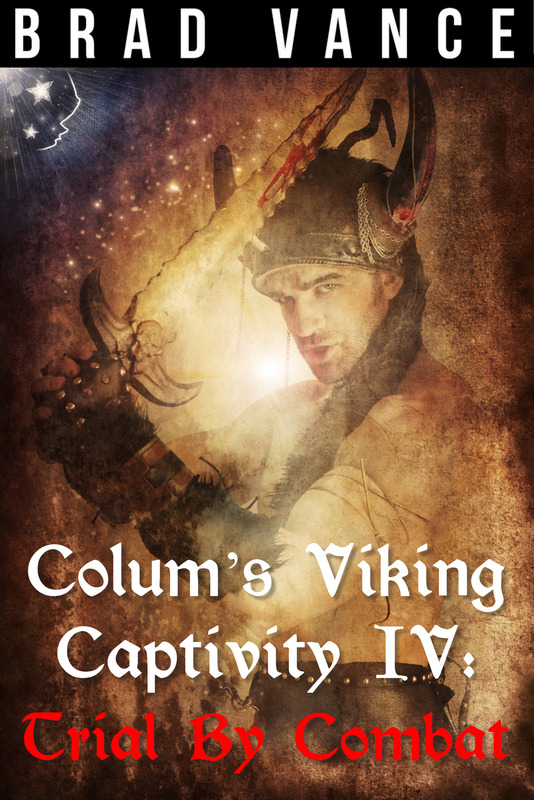 Colum’s Viking Captivity IV: TRIAL BY COMBAT is LIVE!